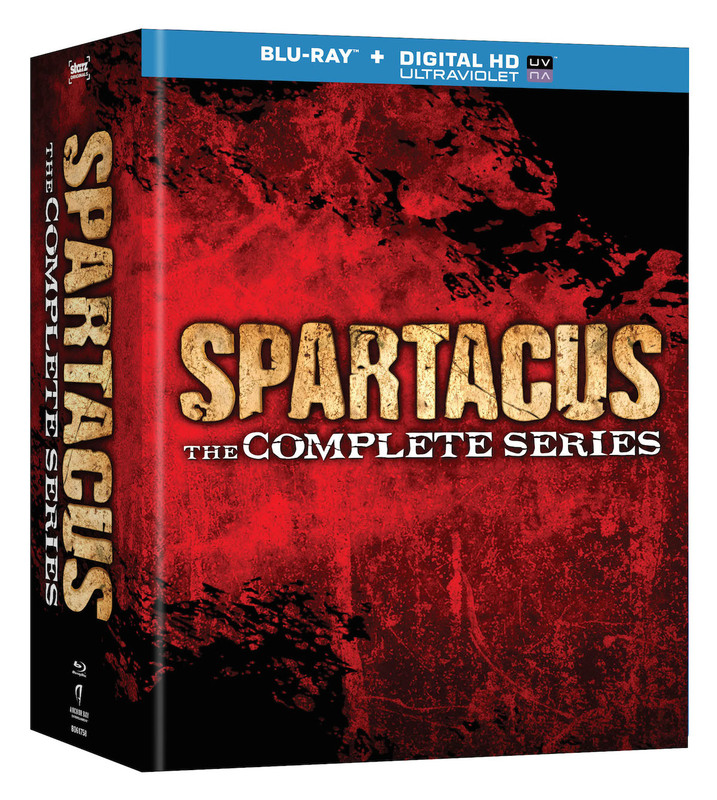 The Spartacus: The Complete Series box set you've been waiting for is finally happening, with a release date set for September. 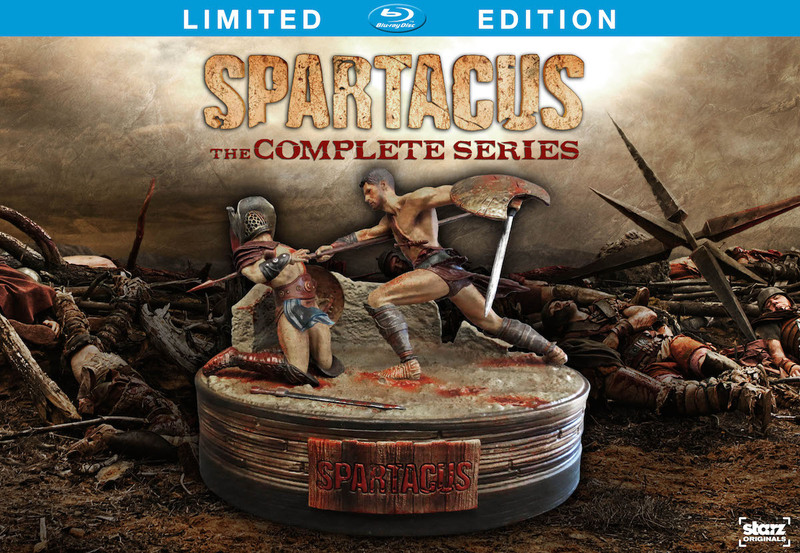 Not only does the Blu-ray set for the gladiator drama include Digital HD with Ultraviolet and a few new bonus features not included on the previously released sets, but the limited edition set also comes packaged with a Spartacus collector's figurine. It looks pretty cool, and as you might have guessed, it's not cheap. DeKnight -- whose next venture leads him away from Capua and over to Hell's Kitchen for Netflix's Daredevil series -- makes an excellent point. For those who haven't watched Spartacus, the series begins with Spartacus: Blood and Sand, which introduces us to Spartacus as he's enslaved and forced to fight as a gladiator. That season is followed by Spartacus: Gods of the Arena, a prequel series that was crafted after star Andy Whitfield was diagnosed with cancer. Gods of the Arena is set in Capua in the time before Spartacus arrived there, and it introduces some elements (no spoilers) that become relevant in Spartacus: Vengeance, the season that picks up where Blood and Sand left off. 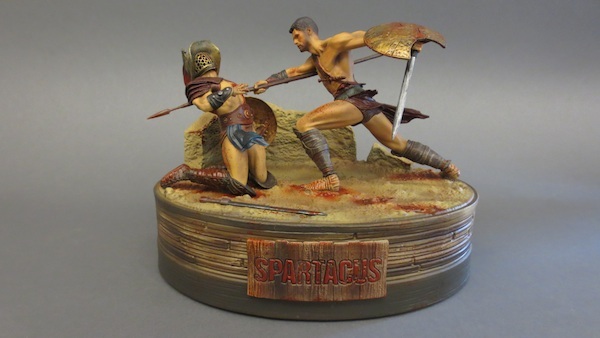 By that point, Andy Whitfield had unfortunately lost his battle with cancer and the role of Spartacus was recast with Liam McIntyre, who played the character through Vengeance and the final season, War of the Damned. So, technically Gods of the Arena is a prequel series, but it fits into the show as Season 2. Factoring in the additional bonus features and the figurine for the limited edition set, the complete series set is a really tempting situation for those of us who already own the individual DVD or Blu-ray sets. Those who held out (and those who aren't above repurchasing), your chance to pre-order these sets will begin August 13. The sets will be released September 16, 2014.